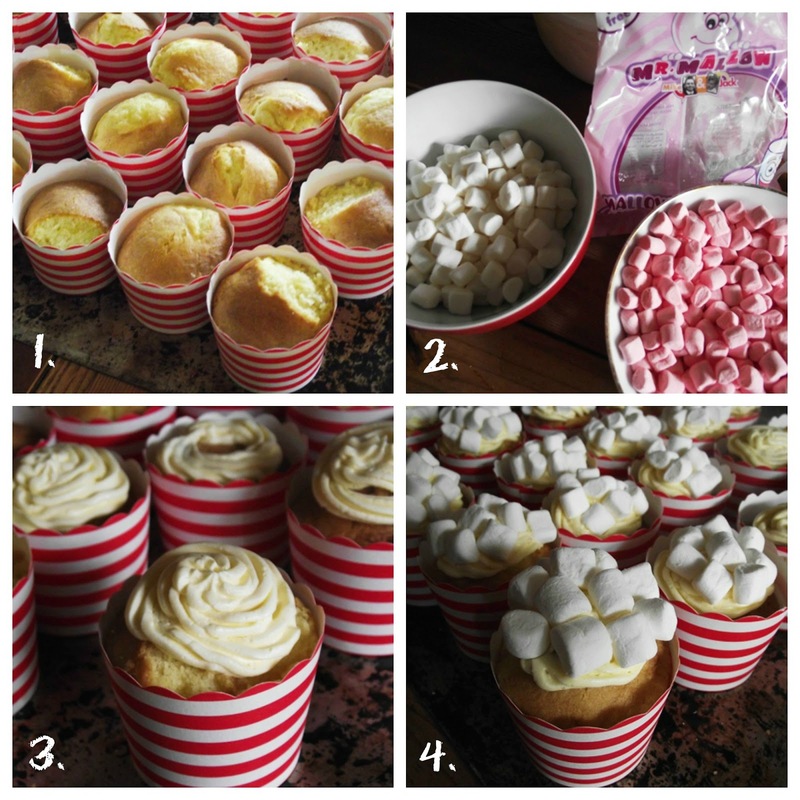 I made these popcornesque cupcakes for Scrag's Carnival Party, knowing that we would have a bunch of little guests with food allergies and not wanting them to feel left out of the yumminess. These cupcakes are deceptively simple, easy and delicious - despite being both gluten AND dairy free. They were gobbled up by kids and adults alike, who didn't even realise that they were "allergy friendly". No nasty after taste; no stodgy brick-like texture. Just fun-looking, delicious cupcakey goodness (with no artificial colours either). Dairy Free/Gluten Free/Colour Free Cupcakes! Press a handful of white mini marshmallows onto each one to resemble "popcorn" in a tub. Voila, you are done. Enjoy!